PLEASE NOTE: Due to backorder, new orders will only be shipping on Nov 25! The LightBee is a simple, inexpensive light-to-sound converter. It lets you instantly find out whether a light source has a clean, stable emission, or whether it generates a light with significant noise. “Light noise” refers to instabilities or flickering in the brightness of a light source. Very few artificial light sources emit a perfectly stable light, even if they appear to do so. This is because they often flicker at a speed or frequency which is too fast to be perceived by our visual system (above 50 to 70Hz). Why Does Light Noise Matter? 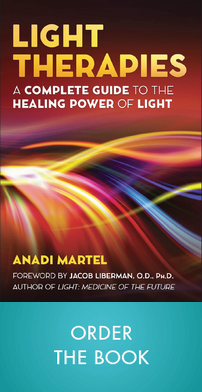 Even when not discernible to the naked eye, light flickering can have adverse effects on our nervous system. 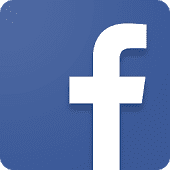 These effects are more or less pronounced depending on each individual. To some sensitive people, even a low flicker may lead to migraines, headaches and eye stress. To the rest of us it still adds to the general environmental stress, potentially contributing, in the long run, to various chronic pathologies. Because Sensortech specializes in applying the therapeutic benefits of light, it is keenly aware of the detrimental effects of unwholesome lighting. 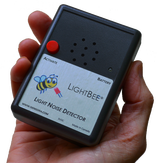 This is why we are offering the LightBee© light noise detector, so that you can easily locate and remove unnecessary light noise sources from your own environment. How is the LightBee used? ​​A simple, inexpensive light-to-sound converter. If the light output is clean, the LightBee will remain silent. 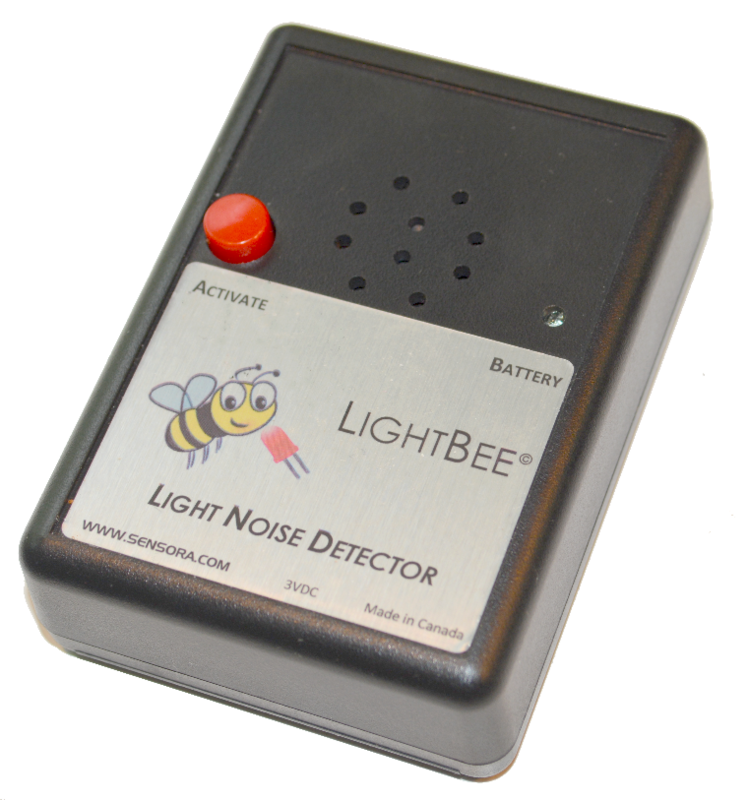 If the light contains any noise, the LightBee will emit a buzzing sound – the louder the sound, the more pronounced the light noise level. Which Light Sources Emit More Light Noise? Light noise has long been an issue with fluorescent light sources. But it has recently become much more significant with the arrival of the new LED bulbs which are now used almost universally. ​​This is because LEDs have a much higher response speed than previous light sources. Engineers have been making use of this property by pulsing light to efficiently control LED luminosity*, often without much consideration for the undesirable effects of the light noise thus introduced. Furthermore, cost-cutting results in LED driver electronics with high noise levels, which translates into high light noise. * Through a technique known as Pulse Width Modulation (PWM). How Can We Reduce Light Noise In Our Environment? ​An industry regulatory body, the IEEE, now recommends reducing all flicker with frequencies below 3000Hz, a new limit much more stringent than previously recognized**. But for the time being, the flickering level of commercial light sources is still unregulated and manufacturers usually don’t mention it in their specifications. The only way you can evaluate the non-visible flicker level of a light bulb is with a detector such as the LightBee. You will find that different LED light bulbs can emit anywhere from negligible light noise, all the way to extreme levels. Test all light bulbs that you bring into your home and office. Avoid LED and other light bulbs with excessive light noise. Avoid using dimmers with LED light bulbs. You will find that even dimmers specifically designed for LEDs usually generate high light noise. ** Recommended Practice for Modulating Current in High-Brightness LEDs for Mitigating Health Risks to Viewers, Institute of Electrical Engineers and Electronics Std 1789 (2015). including worldwide shipping through standard Air Mail. new orders will only be shipping on Nov 25! The LightBee requires two AA batteries (not supplied) for operation.